Ok, I know it’s still only September and, believe me, I am not anxious to see any tinsel going up just yet, but the truth is some people have already started their Christmas shopping. As a toy retailer it will be no surprise to hear that Christmas is by far the busiest time of year for us. October will see a steady ramping up in sales and then in November it will begin to go really mental. 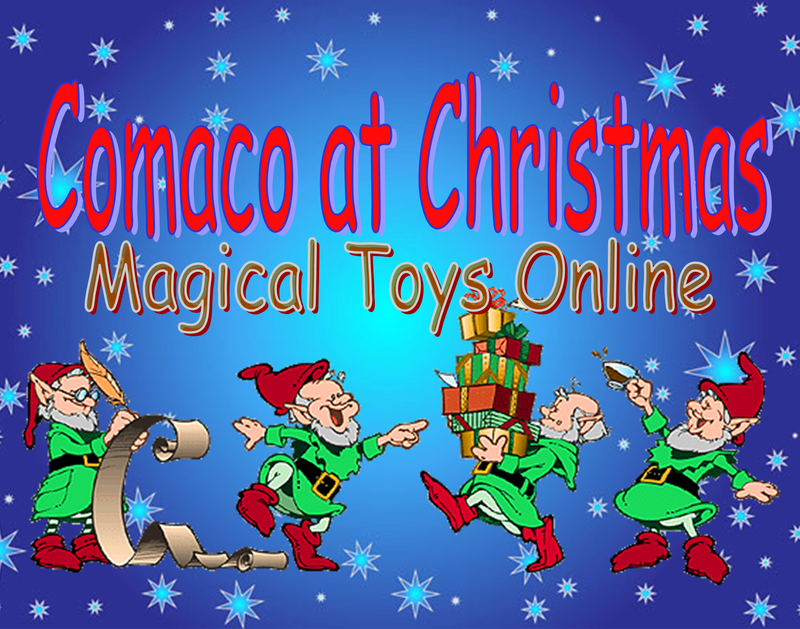 At Comaco Toys we will soon be offering two new categories: Christmas Toys – for larger present ideas – and Stocking Fillers – for the smaller gifts that help make the big day that bit more special. In addition, we already have some Christmas Items in. These are decorations, cards and xmassy themed products just for the festive season. For those of you who prefer not to think about Christmas until at least the beginning of December, you have my sympathies!